Elves have been everything from stately, majestic creatures of Tolkien fantasy to tiny mischievous spirits, but this month they’re relegated to the workforce of a more powerful magical being and industrial complex at the North Pole. One class of the more creepy elves, however, got into Santa’s good graces and won the chance to escape the North Pole and take on a surveillance role inside houses across the world. This degenerate of an elf thinks that it’s cool to watch children all day in their own home and make sure they’re “good,” whatever that means. 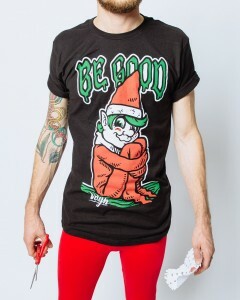 Keep an eye out for this elf. He’s up to no good. I can feel it. Oh, and have a merry Christmas, won’t you?